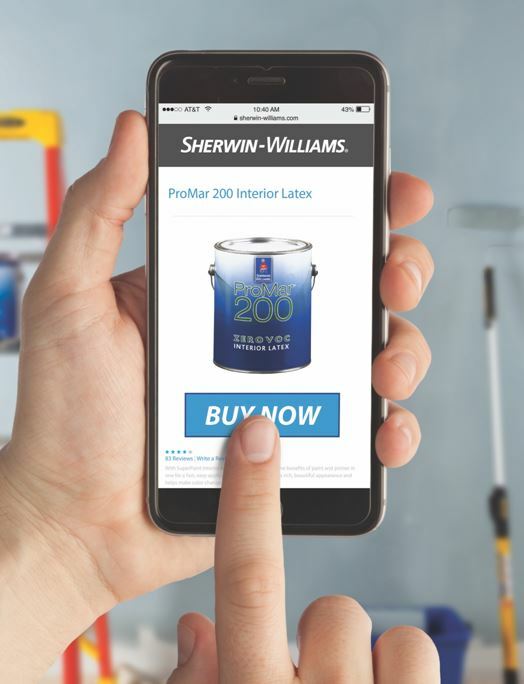 In late 2017, Sherwin-Williams launched a new online ordering program for professional customers. 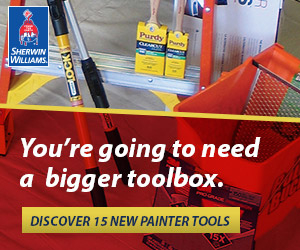 The e-commerce platform is accessible online through Sherwin-Williams PRO accounts or through the PRO app on iPhone and Android, and allows pros to order paint and supplies from their local store via their phone, tablet or computer at any hour and from any location. Most orders can be ready for pick up in two hours or less (large orders may require extra time). Orders placed after hours will be processed the next business day. And for those skilled at planning ahead, online orders can be scheduled for pick up as far out as a week in advance. Online pricing is the same as in-store PRO account pricing and coupons can be applied to orders at time of pick up. For those who download and use the mobile app, there’s also the option to receive monthly coupons via text as well as news about other Sherwin-Williams discounts. Pros can receive status updates on an order and even authorize other individuals or crew members to pick up orders, making planning and managing jobs easier. Professionals without a PRO account can create one by contacting their local Sherwin-Williams representative or visiting their local store.